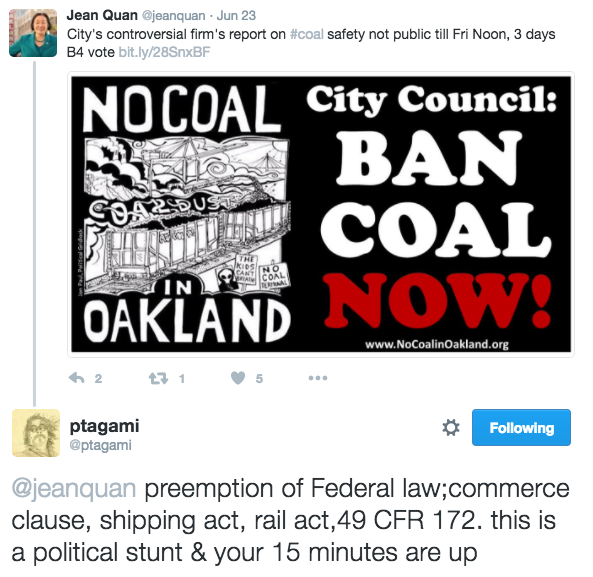 Oakland real estate developer Phil Tagami filed a lawsuit against the City of Oakland yesterday in federal court arguing that Oakland officials broke their contract with his company, the Oakland Bulk Oversized Terminal (OBOT), when they passed a coal ban earlier this year. Tagami wants a judge to overturn the city's ordinance and allow his business to ship potentially millions of tons of coal through the city each year to overseas markets. Attorneys representing OBOT argue that Oakland's coal ban violates federal laws that regulate interstate trade and the regulation of maritime shipping and rail transportation. The attorneys argue that the city is guilty of an "unconstitutional abuse of its power." Oakland Mayor Libby Schaaf opposed coal shipments through Oakland and supported the city council's ban on the grounds that it would protect public health and safety. Schaaf's spokesperson Erica Derryck told the Express that the mayor's office cannot comment on pending litigation. Environmental groups that support the city's ban say they plan to support the city in fighting the lawsuit. "Over 75 percent of Oaklanders oppose shipping coal out of the Oakland Bulk and Oversized Terminal," said Jessica Yarnall Loarie, staff attorney for the Sierra Club Environmental Law Program. "We plan to stand shoulder to shoulder with the city to make sure that this terminal never ships coal." "It is truly regrettable that the City has left us no alternative but to take this action," said Tagami about the lawsuit. "We applied for and the City approved and vested exactly what the market demands: a terminal capable of being fully responsive to market demands for global transport of legal commodities over its 66-year useful life. Restricting any commodity on political grounds puts a cloud of uncertainty over the entire project going forward." A letter sent to Schaaf and Council President Gibson McElhaney yesterday by Tagami's attorney claims that Oakland officials have been meeting privately with Tagami for "many months" about the coal ban and the possibility of reaching some kind of deal short of a lawsuit. OBOT signed a development agreement with the city in 2013 to redevelop land at the old Oakland Army Base on the city’s waterfront. When plans to build a coal export terminal were revealed for the first time in April 2015 Oakland residents pressured the city council to pass the ordinance banning coal handling and storage inside the city. The city council unanimously approved the coal ban on June 27 of this year. 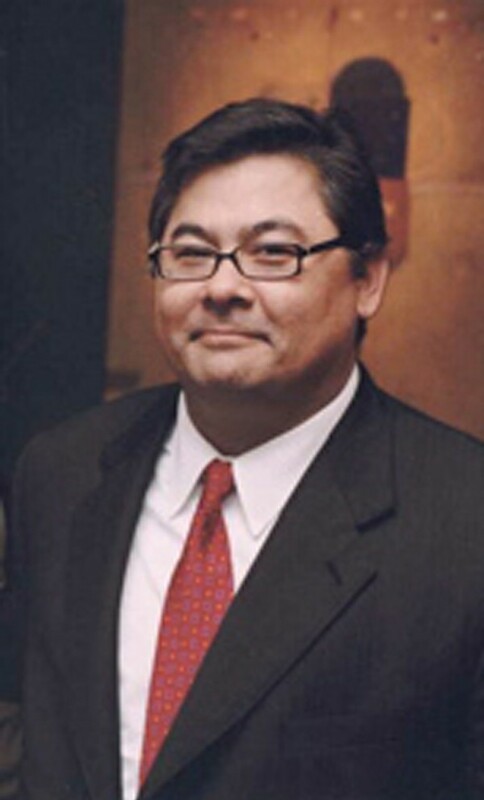 Tagami, a politically connected businessman who is close friends with California Governor Jerry Brown, has warned the city council repeatedly that he would sue if a ban was implemented. He has called the city's ordinance a "political stunt."